Microsoft RDP 10.0 is downloaded from the App Store. 1. Go to the top right corner of your screen and click the Apple icon . 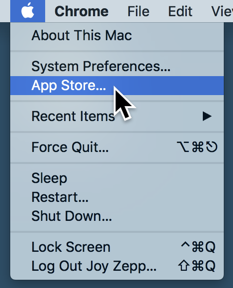 Then choose App Store... from the dropdown menu. 2. Once the App store launches, search for Microsoft RDP. 3. Your search results may look like below. Choose the Microsoft RDP option with the circle orange icon . Click the button by the icon. 4. Next, click button to install Microsoft RDP. 5. You may be prompted to enter in your AppleID. In some cases, the App Store may prompt you to confirm your billing information. This is a standard process in the App Store, especially if it has been a while since you last downloaded any apps. The Microsoft RDP app is free and your credit card should not be charged for it. 6. Once downloaded, click . 7. When you start Microsoft RDP for the first time you'll need to add the connection for ICANotes. 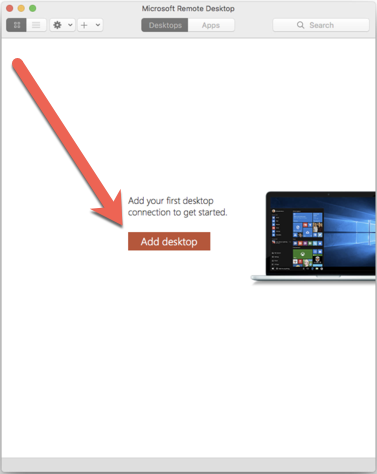 Start by clicking button in the Microsoft Remote Desktop window. 9. Click in the bottom left of the window. 10. This will open the Edit Desktop window. Under Friendly Name, type ICANotes for easy identification. The ‘Swap mouse buttons’ option may be useful if you are a left-handed mouse user. If you are using the trackpad (such as on a Macbook Air or Macbook Pro) the left side of the trackpad will be your right-click, and the right-side of the trackpad will be your left click. If you are not left-handed, you do not need to check this option. 11. Click the tab to move to the next area. 12. Go to the tab. Be sure that Printers and Clipboard are selected. 13. Once all settings have been set, click the button. 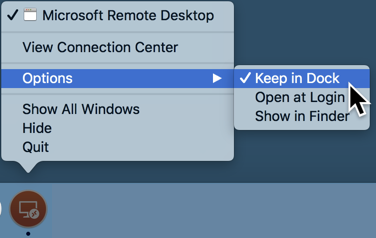 Your new icon will show on the Microsoft Remote Desktop. 14. To login, double-click on the icon you setup. 15. 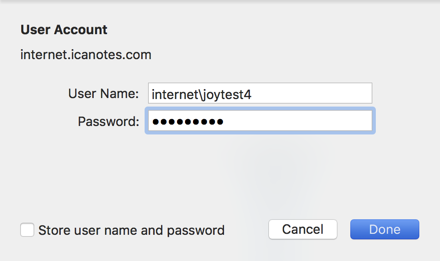 Type in internet\username (example: internet\joytest4) and your password in this window. Then click the button. 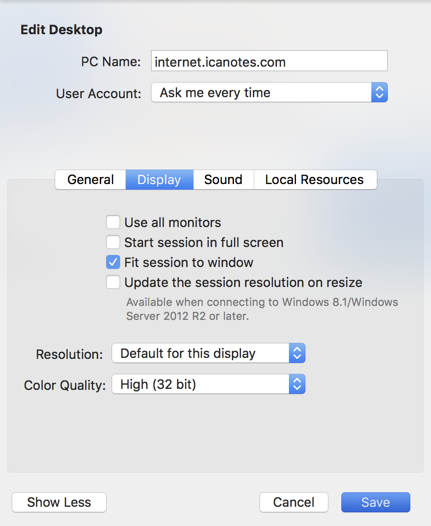 ICANotes will open in either fullscreen or windowed mode. If you prefer windowed mode you can minimize ICANotes by clicking on the YELLOW icon at the top left of the window. 16. 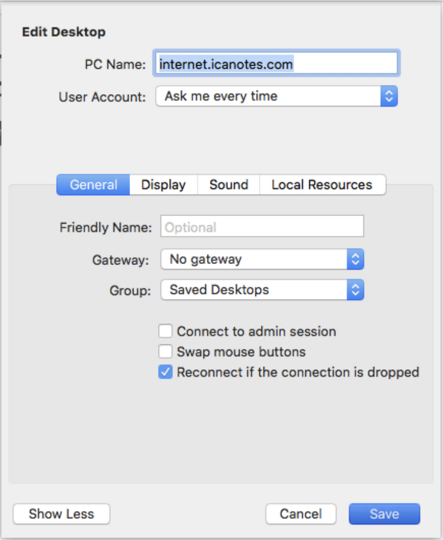 Once you are logged into ICANotes you can close out the connection screen (optional). Otherwise, when you click on the orange RDP icon in your dock (when minimized) it will bring up the connection screen instead of ICANotes. PLEASE NOTE: When logged into ICANotes you will need to use the pink Log Off button in the Chart Room to properly exit the program. 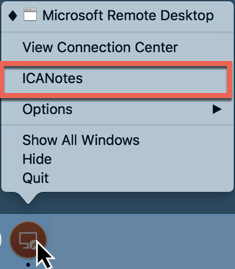 Please DO NOT X out of the active ICANotes window to logout. You can also look at the orange RDP icon in your dock to see if the ICANotes window is currently open (the black dot underneath the icon indicates the program is open). If it is, right-click on the icon you will see ICANotes (the name we gave the connection). 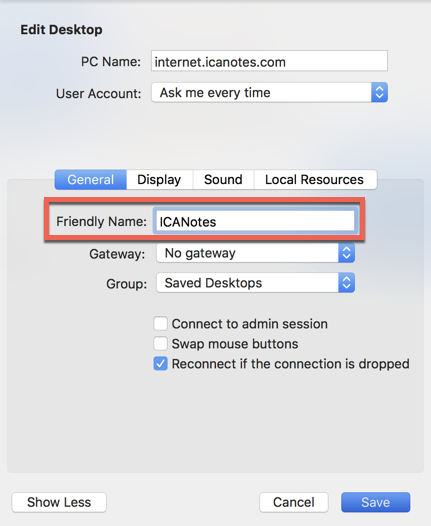 Click on ICANotes to bring up the ICANotes window. 16. 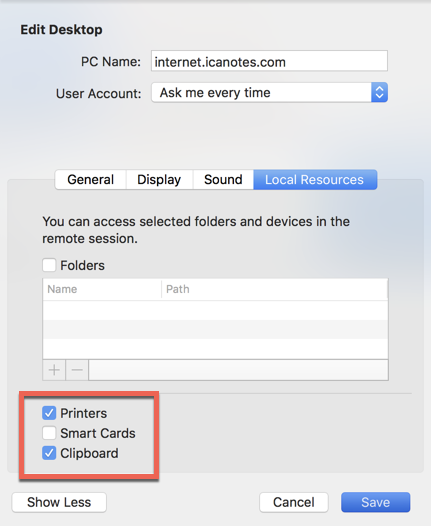 To keep ICANotes in your dock for easy access, right-click and from Options choose Keep in Dock. You can move the icon to another spot on your dock by clicking and dragging the App icon to another spot on the dock.